As a mother who had a 1 in 4 chance of having a second child with SMA, they decided to close the door on genetic children. 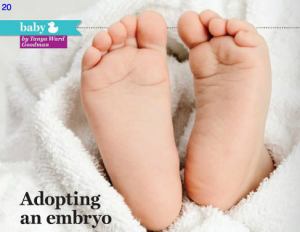 They soon turned to embryo adoption as a way to have more children. Turn to page 20 to learn more about the Cannon’s story.